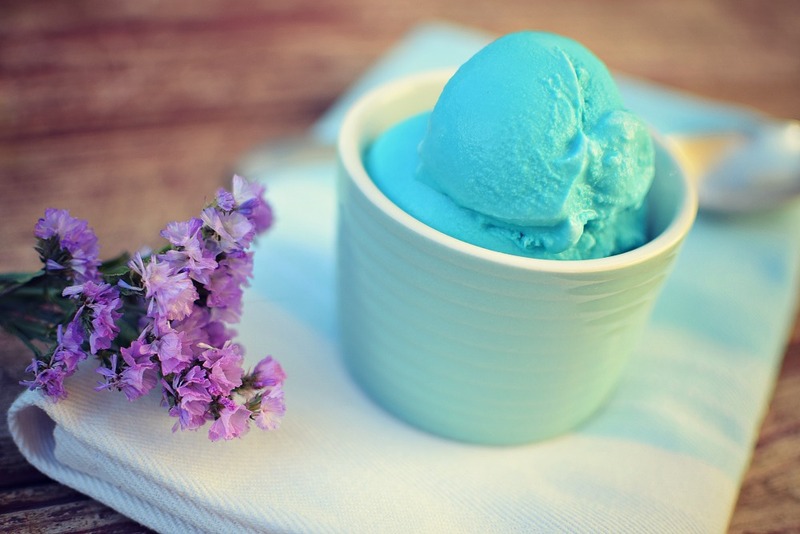 Although I’m not a fan of artificial colours or flavours, I had a request from a friend to make Blue Moon Ice Cream. So here it is – do what you will with it. I’ve never eaten this ice cream before so I researched the flavour and ended up adapting a recipe from the team at serious eats. This recipe was invented in the 1950’s in the USA and has a mildly fruity, creamy flavour. From what I can see, there are many different recipes used in the US which all have subtle differences. Feel free to give it a try and let me know what you think. Whisk yolks with 1/4 cup sugar until pale in colour. Heat on medium-high: milk, cream and remainder of sugar in a large saucepan. Once the milk is simmering remove from heat (don't allow to boil). Slowly whisk 1 cup of the milk into the yolks, all the while whisking then pour back into the saucepan while still whisking. Continue heating the custard base on a medium heat until it thickens (about 5 minutes). Don't allow to boil. When the base coats the back of a spoon it is ready. Remove from heat and pour through a strainer into a bowl. Stir in the raspberry flavouring and colour. Transfer to an airtight container and place in fridge to cool for at least 3 hours (preferably overnight). Add to ice cream machine and churn following manufacturers instructions. Once churned, add to airtight container and freeze for at least 2 hours until the required hardness is achieved. No Replies to "Blue Moon Ice Cream"